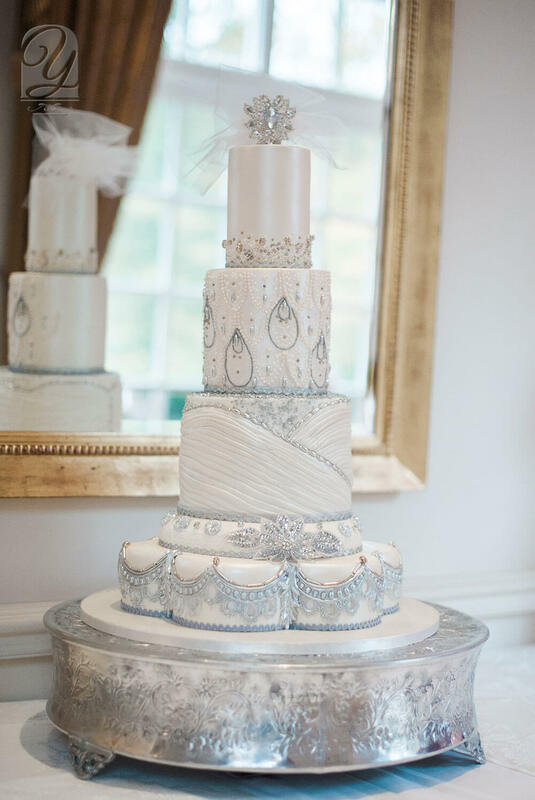 Special thanks to the wonderful and professional Wedding Photographer Kate Nielen, for capturing these exceptionally beautiful shots on the 8th of November 2015, when Unique Cakes, by Yevnig unveiled their latest designs for 2016 at the fabulous Four Seasons Hotel Hampshire’s Wedding Showcase. 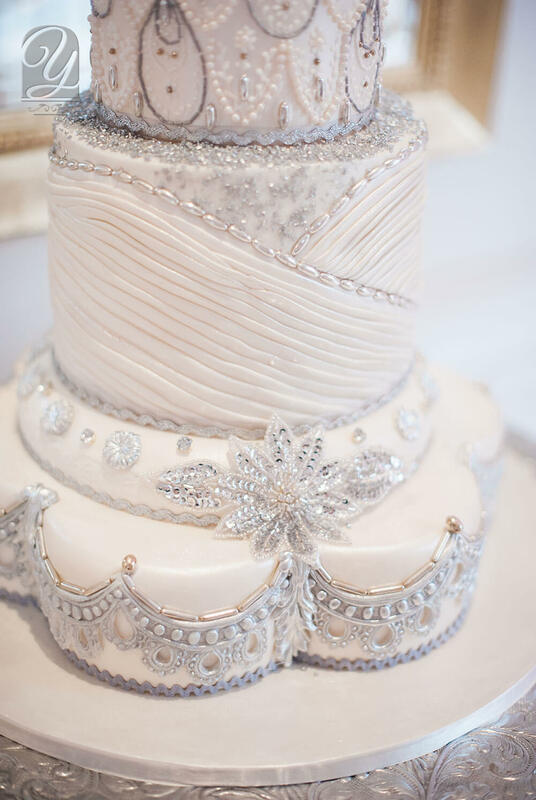 The stunning Alexandria Chic is a truly unique grand centrepiece cake of the highest order. 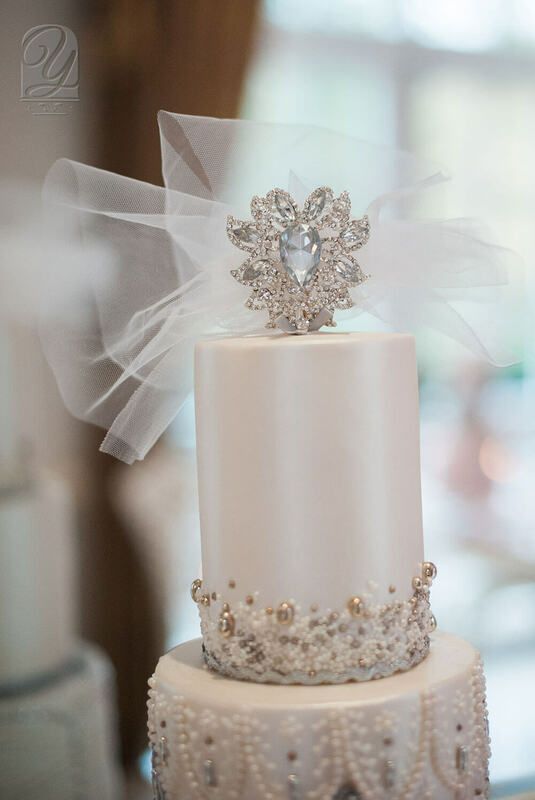 With a stunning combination of diamonds, silver jewellery and delicate lacework, our exclusive 5 tier design is perfectly refined with the finest ornamentation and flowing sugarpaste swags. 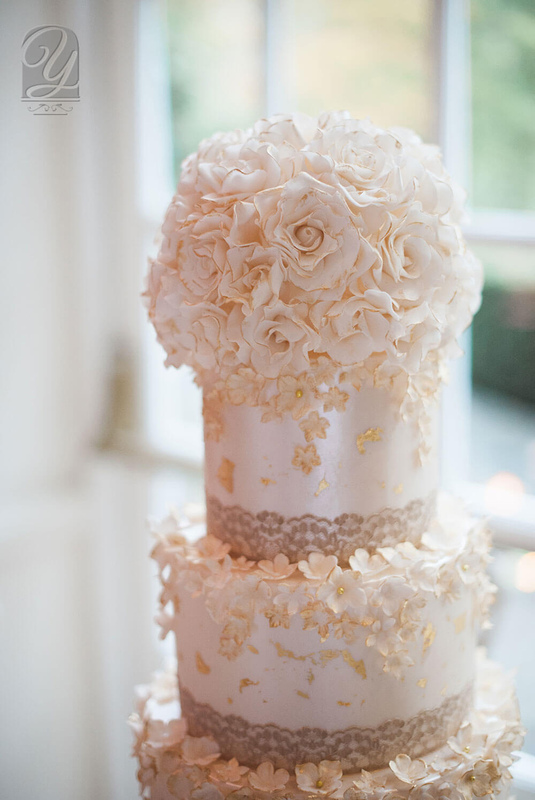 The Golden Rose Elegance is a glorious grand 4 tier chic Wedding Cake of the highest calibre. 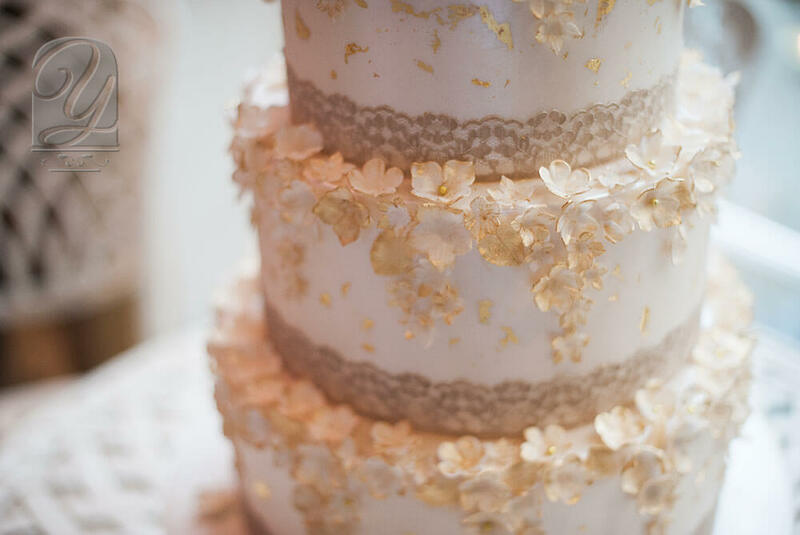 Shimmering in beautiful cream hues and crowned with a burst of delicate handcrafted sugar roses, this elegant cake is adorned with miniature flowers and gold leaf, cascading through the tiers. 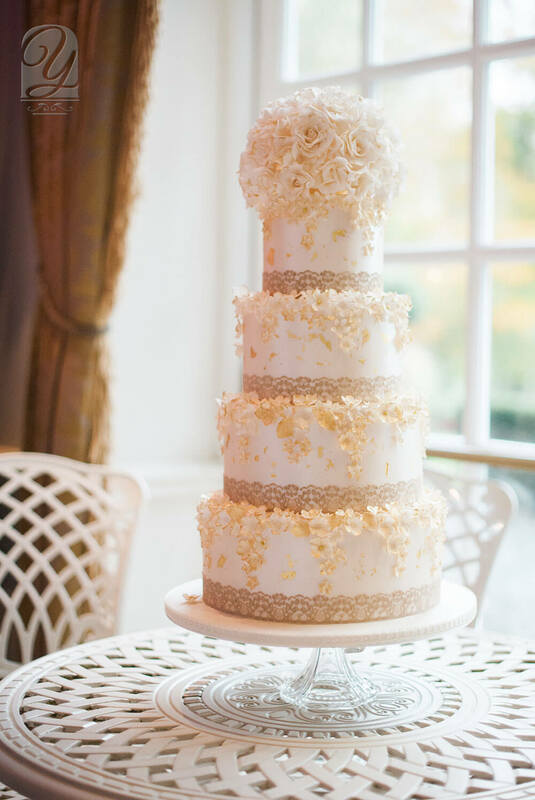 An exclusive design from Unique Cakes, by Yevnig, the Golden Rose Elegance complements its surroundings perfectly, providing the perfect Grand Centrepiece. The wedding showcase was an amazing success, thanks to the expert organisation of Emma Westacott and the team at The Four Seasons, Hampshire. If you are looking to get married in the ultimate venue, then we cannot recommend the beautiful Four Seasons Hampshire highly enough. For more details please click here.